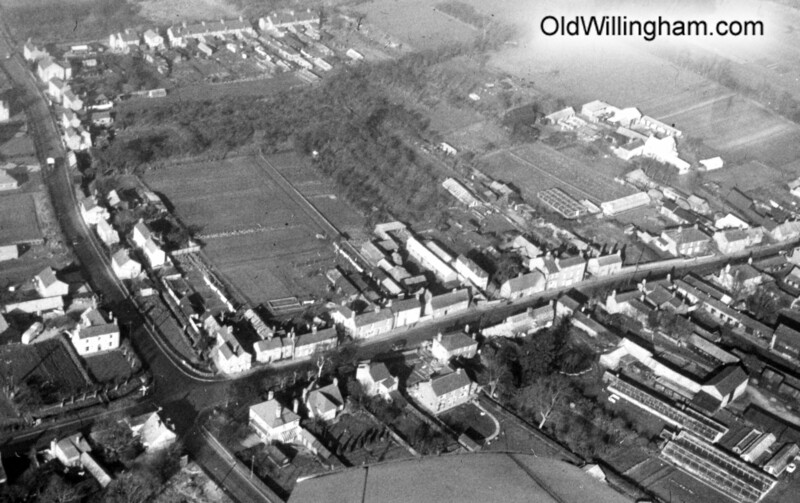 Another aerial photo this month, taken in about 1950. This time we see the crossroads at the top of the High St. where the traffic lights are today. Over Road goes up the left side and you can see Rook Grove at the top. At that time there were houses along the main roads but everything else was horticulture or farming. Notice all the greenhouses at the bottom of the photo behind the houses. The only buildings of note off the High St. are those of Bourney’s Manor Farm which, nowadays, is surrounded by houses.